Extracurricular Activities : Dance and Music. Sports: Cricket, Kho-Kho, Horse-riding and Kabaddi. Competitions on local level. The tiny village of Ghangasu is situated on an altitude of 1400 m in the interior of the Himalayas, near the famous and holy Kedarnath and Gaurikund. It is about 240 km from Rishikesh. 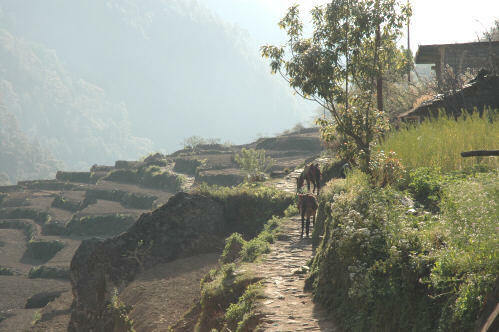 This remote village is not reachable by car, one has to walk or ride on horse for 5 km from Chenagarh through a picturesque mountain trail surrounded by fields and terraces. There is a Nagnath Temple about 2 km from the village. 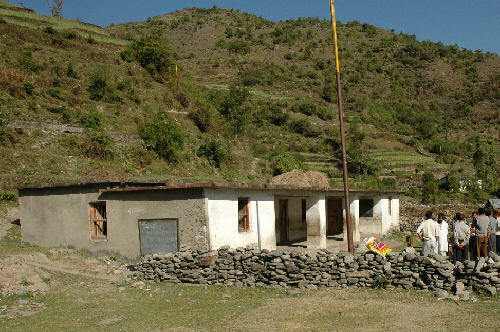 Omkarananda Academy, Ghangasu, is located in the middle of the village. The School has been founded in 1996 and runs Nursery to Classes V. Children come to school from as far as 2 km. 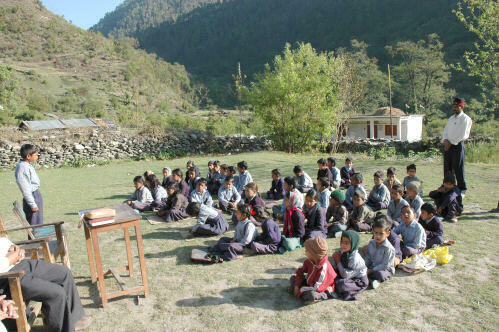 In addition to the core curriculum, they also have cultural education in Garhwali songs and folk dances. At other times, they train in Cricket, Kho-Kho, Horse-riding, Kabaddi as sports and participate in local competitions. When the Omkarananda Educational Society adopted this School, the village people of Ghangasu were so much overwhelmed with joy, that they spontaneously named their sports field "Swami Omkarananda Stadium, Ghangasu".